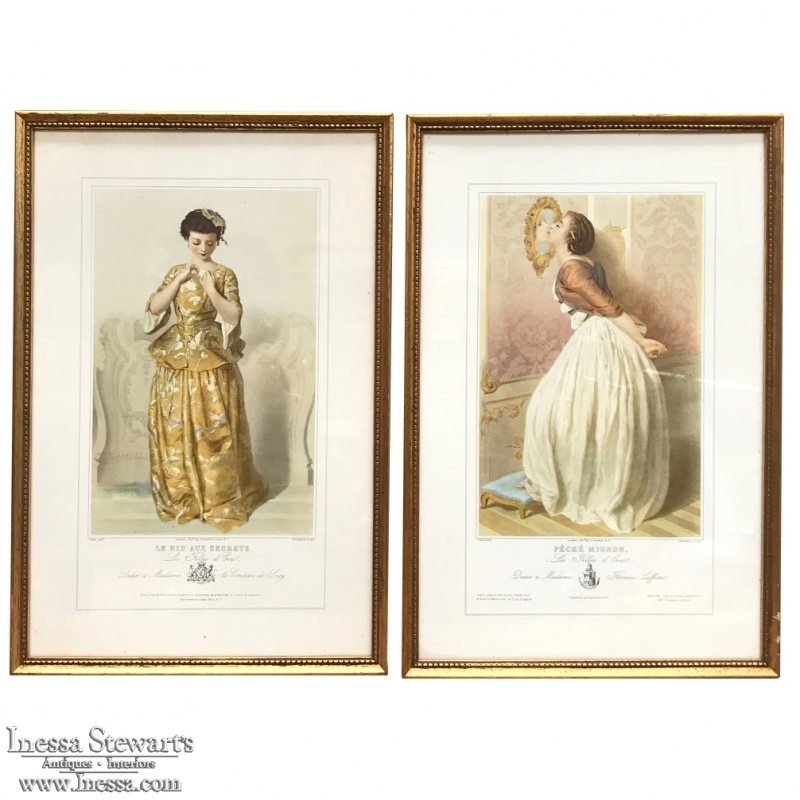 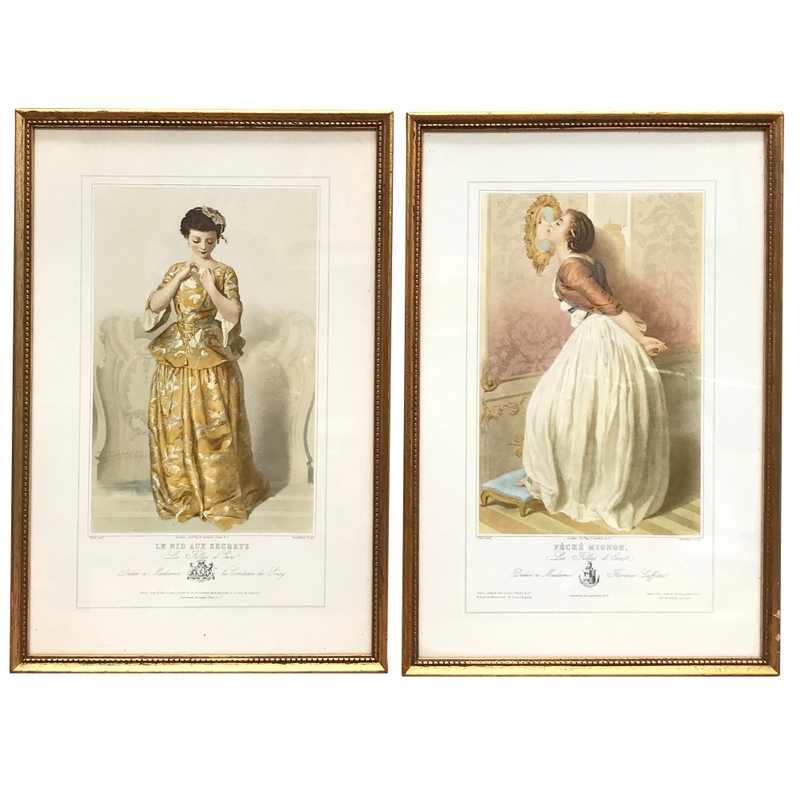 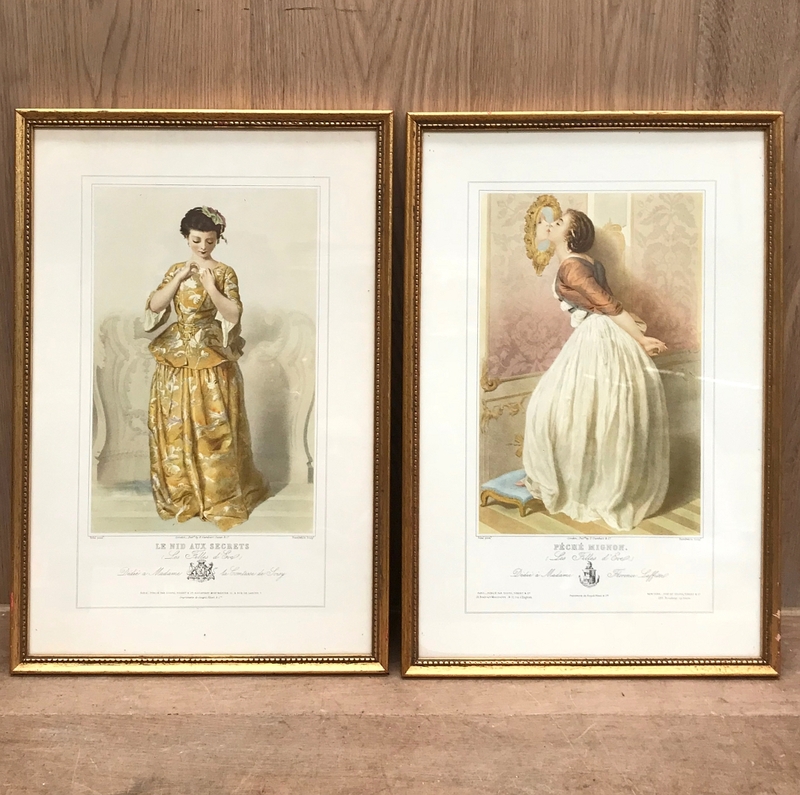 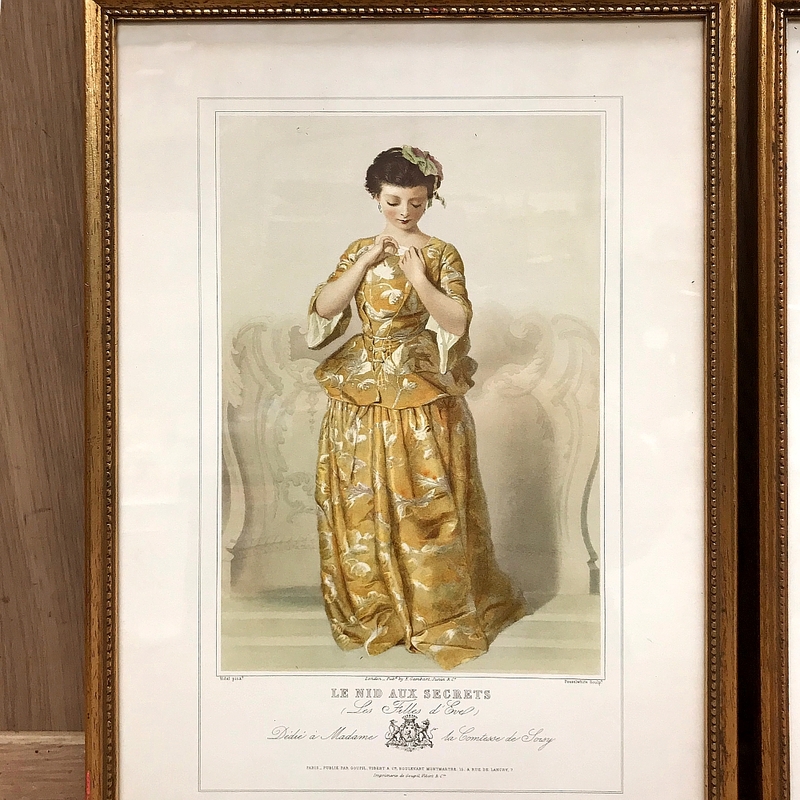 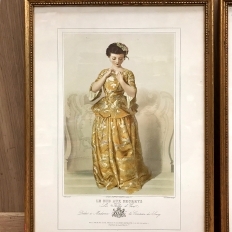 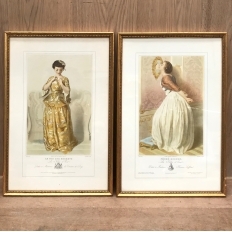 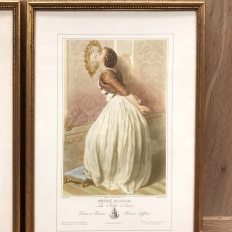 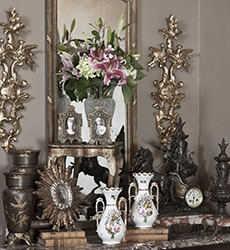 Pair 19th Century Framed Hand-Colored Engravings were meticulously hand-colored to create beautiful artworks that are ideal for the feminine decor. 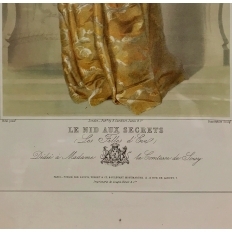 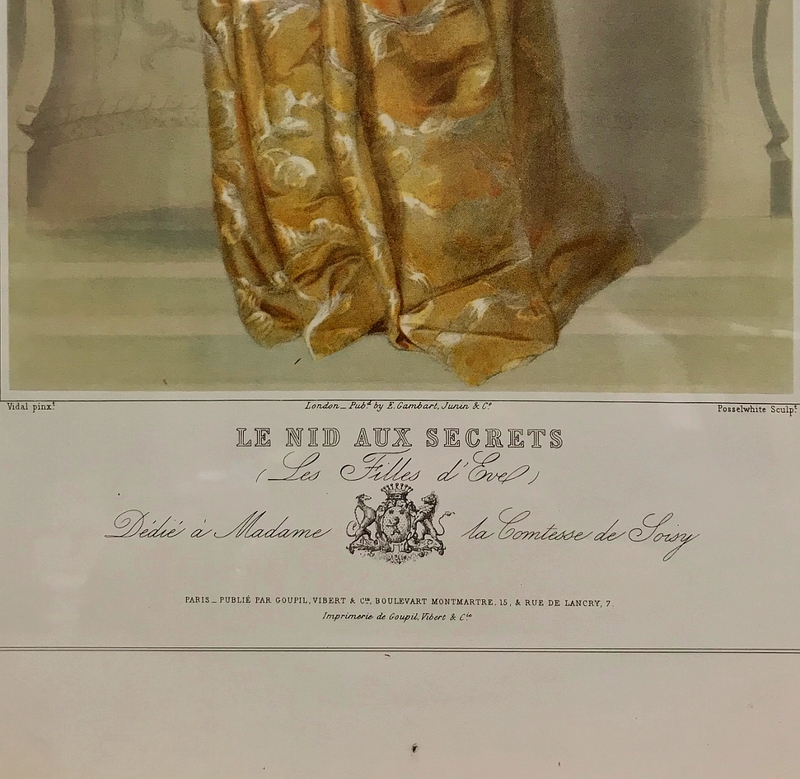 One is entitled "Le Nid Aux Secrets" which translates to the nest of secrets depicting a lovely young woman retrieving a note from her lover, and is dedicated to the Contesse de Louisy. 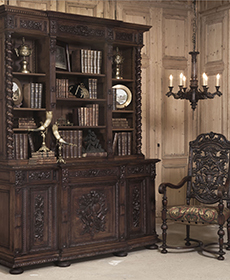 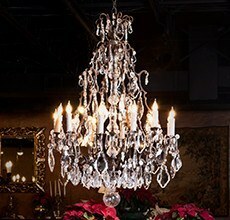 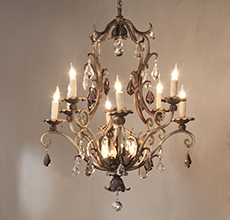 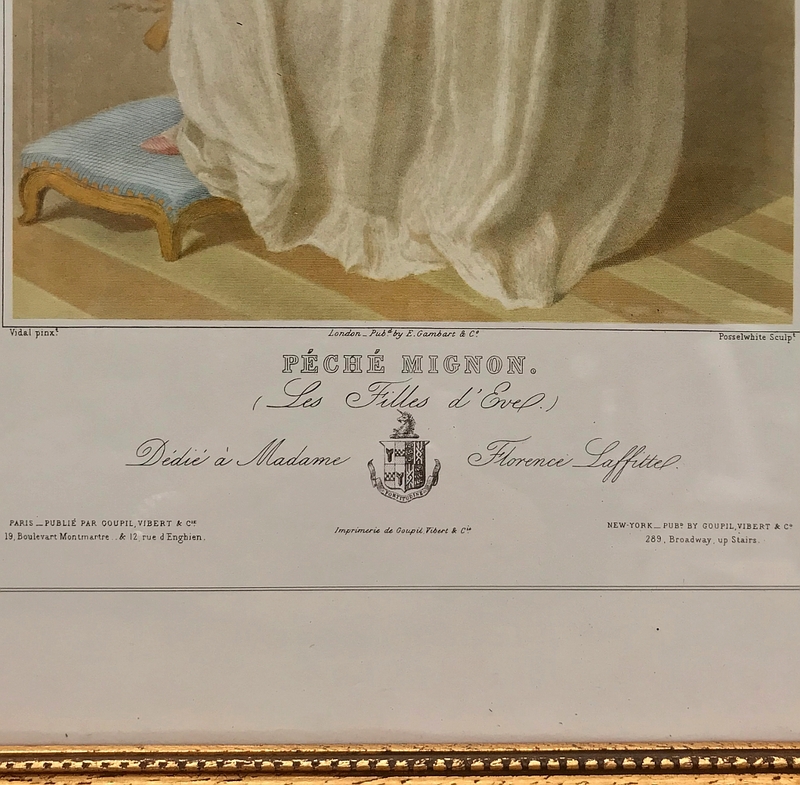 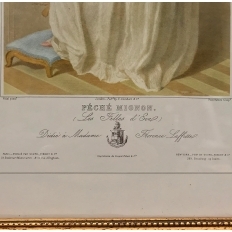 The other is entitled "Peche Mignon" which loosely translates that the lovely maiden is available and on the lookout for companionship, and is dedicated to Madame Florence Laffittel. 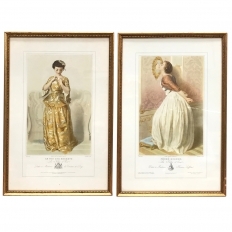 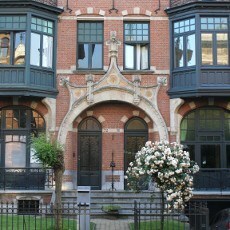 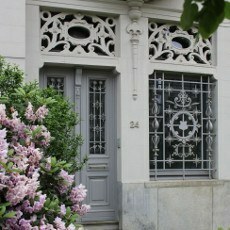 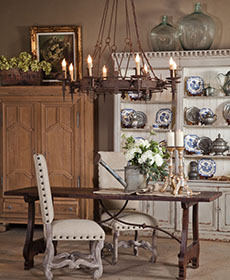 Both are representations of the daughters of Parisienne Monsieur Evel.